Do you have a little girl who loves Shopkins!? Make her Easter extra-special with this list of 20+ non-candy Shopkins Easter Basket Stuffer Ideas! 1. 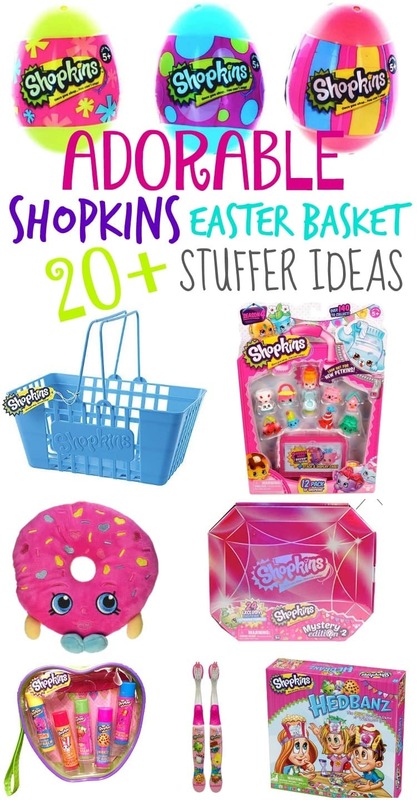 Start with the Shopkins Life Sized Blue Shopping Basket and fill it with Shopkins Easter Stuffers. Then, wrap it in cellophane with a bow for the perfect Shopkins Easter Basket! → If the Shopkins shopping basket isn’t available (it comes and goes out of stock), consider these colorful baskets.